Really Looking forward to Ableton’s Loop Event this Week! Maaaaaaaaaaaaaan, Ableton is putting on what is shaping up to be a great event this weekend in Berlin called “Loop”. It’s almost like a live version or continuation of the book “Making Music” by Dennis DeSantis…at least that what it seems to me, which is dope! The list of presenters is truly insane with folks from Ableton like Dennis himself, Jesse Terry (product owner for Push), and Ableton’s CEO Gerhard Behles, to folks like Roger Linn, Stephan Schmitt, and Young Guru. 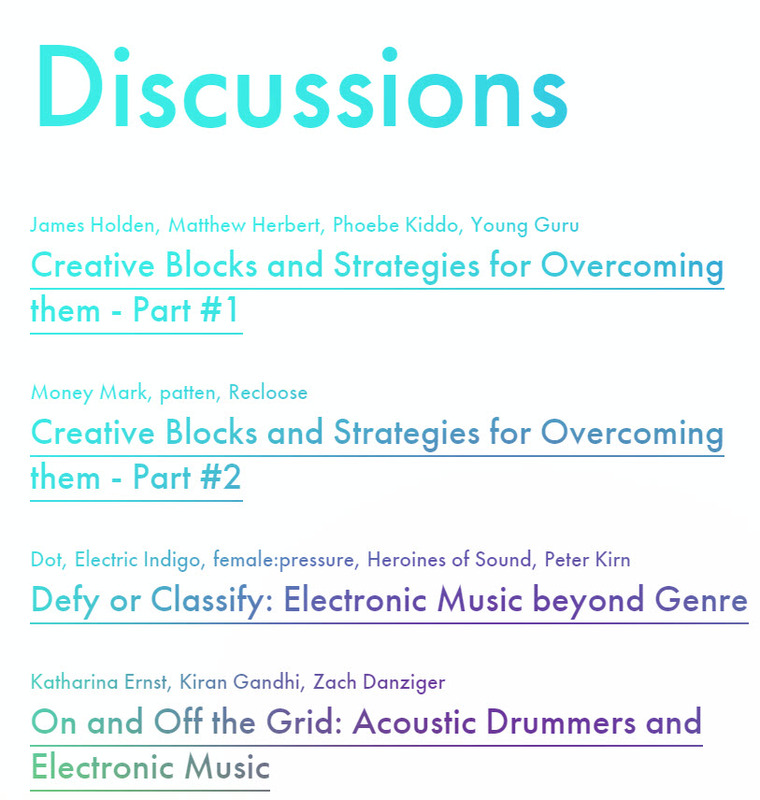 Really cool to see Ableton putting on their own event and that it revolves around music and creativity. I’m always interested in stuff like dealing with creativity, strategies, and workflows, and this is just a few of the many sessions that will be available! The weekend concludes with “A Glimpse into Ableton’s Workshop” where the CEO and others from Ableton will speak, man…that’s gonna be insane! Overall this looks like it will be an awesome event. Make sure to follow me on instagram and twitter for updates!